In this contemporary classic originally published in 1963, Paul Lehmann answers the central question posed time and again to Christians throughout the ages: what am I as a believer in Jesus Christ and a member of his church to do? Lehmann argues that while principles for moral action can be rules of thumb, there are no absolute moral norms beyond the general norm of love. 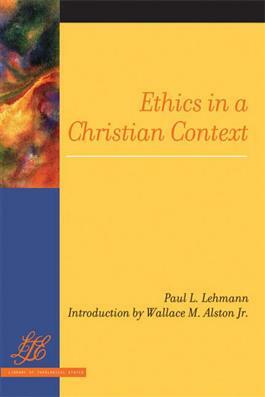 Lehmann contends that Christians are to act in every situation in ways that are consistent with God's humanizing purposes, but what that means changes from context to context and requires strong, faith-shaped discernment.